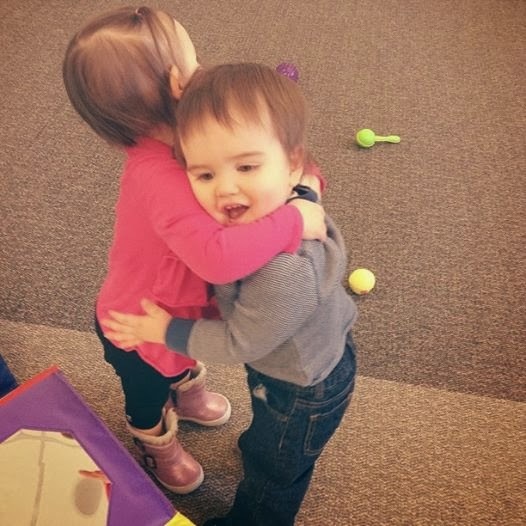 The idea for this fun activity came from my friend and the mama of one of Skyler's best buddies (who also, I think, happens to be Skyler's first little crush - he is always talking about her!). She told me about it when we met at the library for story time. 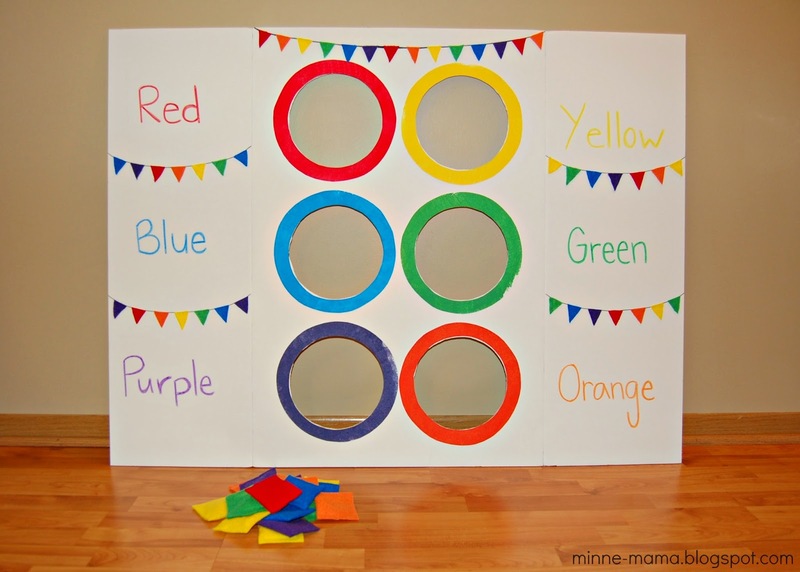 She cut holes in a big cardboard box and they used colored balls to put in the different colored holes! 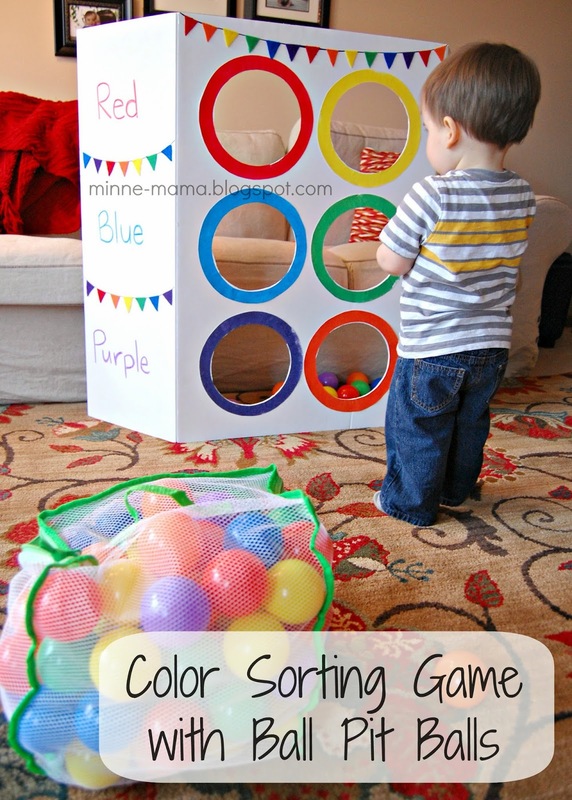 I knew I wanted to make a similar activity for Skyler, because we are all about color sorting in our house right now! These two have known each other since Skyler was 5 weeks old! I didn't have a cardboard box that would have worked to cut six holes on the top of, big enough to put balls through, so I started brainstorming other ideas. I decided to use a tri-fold poster board. 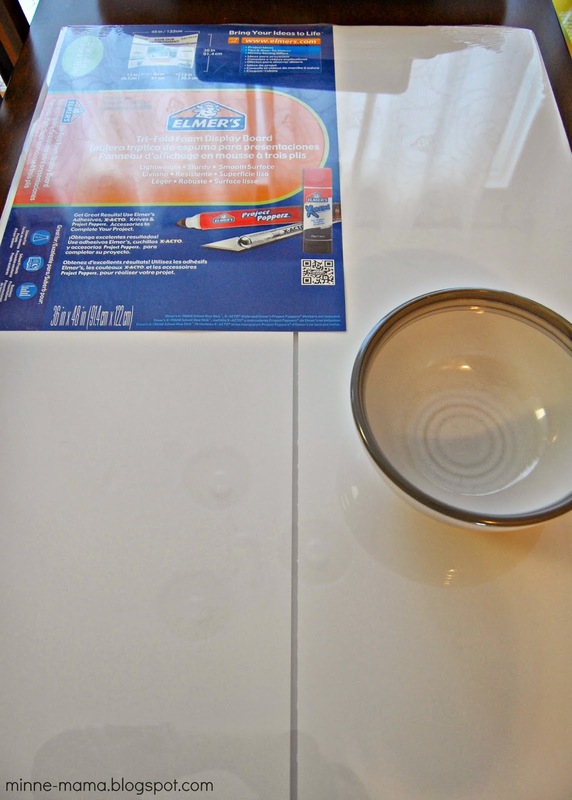 I had a bowl that I could fit down the poster board perfectly three times, so I opened the poster board and traced around the bowl six times, two by three down the poster board. Since I am going to have the back of the board showing, I traced them on the inside of the board, so any pencil markings wouldn't show. 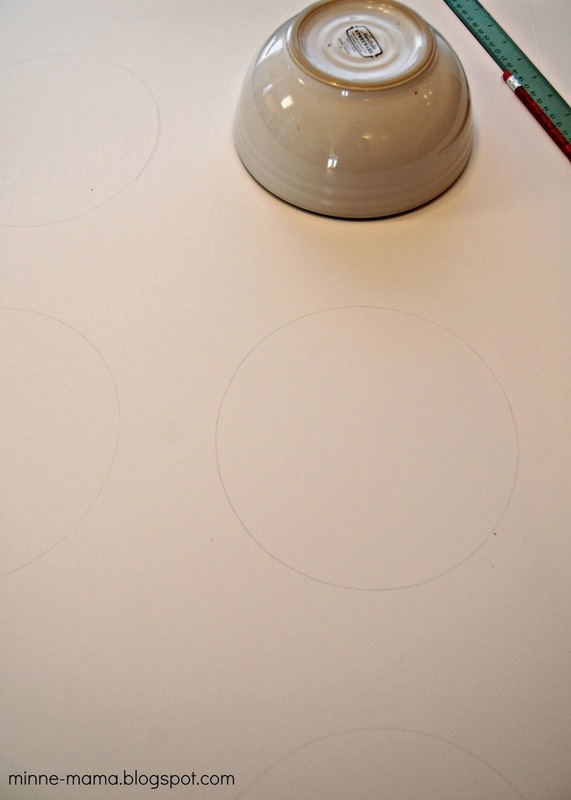 When I finished tracing the holes, I cut them out carefully with a X-acto knife. 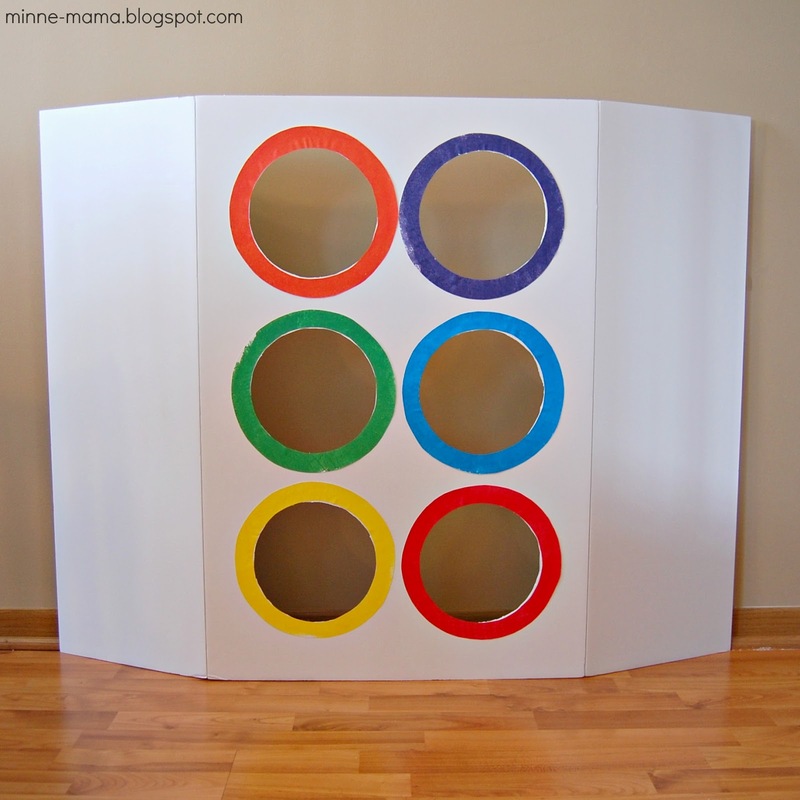 After cutting out the traced circles, our poster board was ready to toss our colored toys through, but not yet complete. Next, I had to give each of the holes a color so Skyler knew where to put the different colored objects. 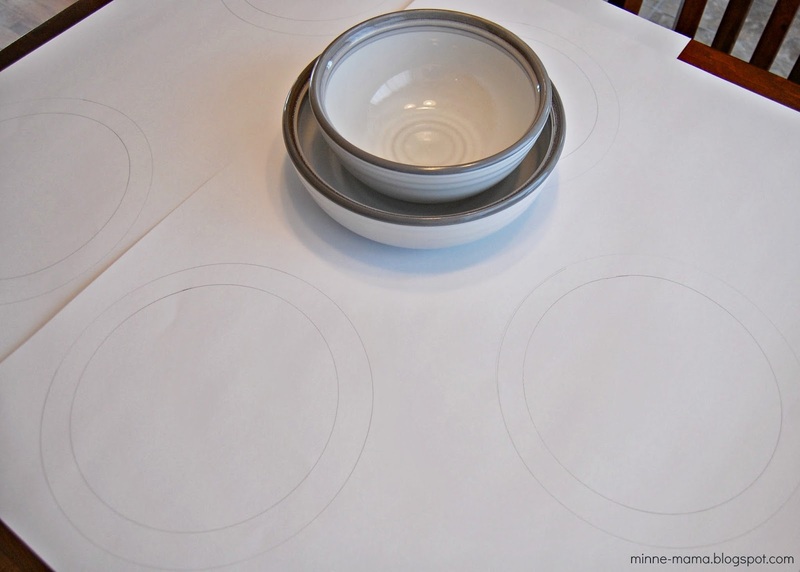 To make the color around the holes, I traced the bowl that I used on the tri-fold poster and the next size up to make a ring onto poster board (which I used so it would hold up after a lot of use!) After tracing six rings, I cut them out, leaving them as squares (or close to squares). We painted the back of the squares to leave the pencil markings free of paint. 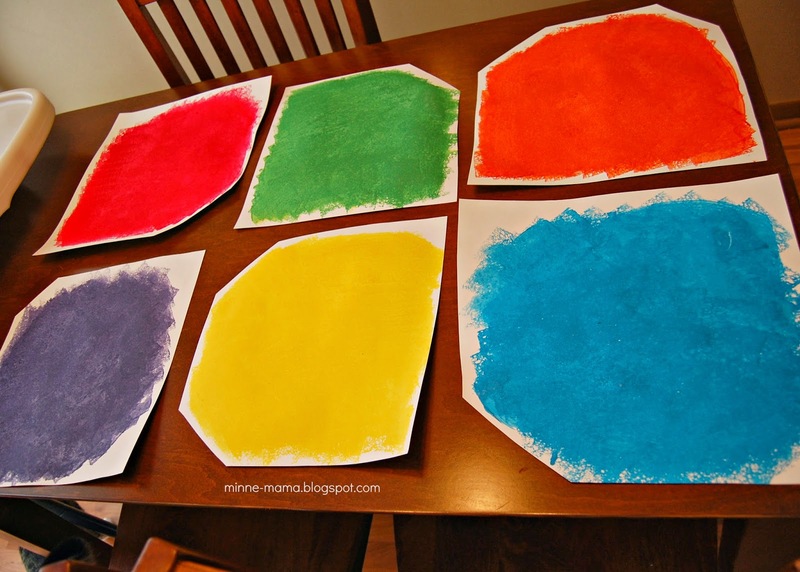 To make them really colorful, we used the same color mixing technique we did for our color sorter and fine motor caterpillar and then we painted with sponges! 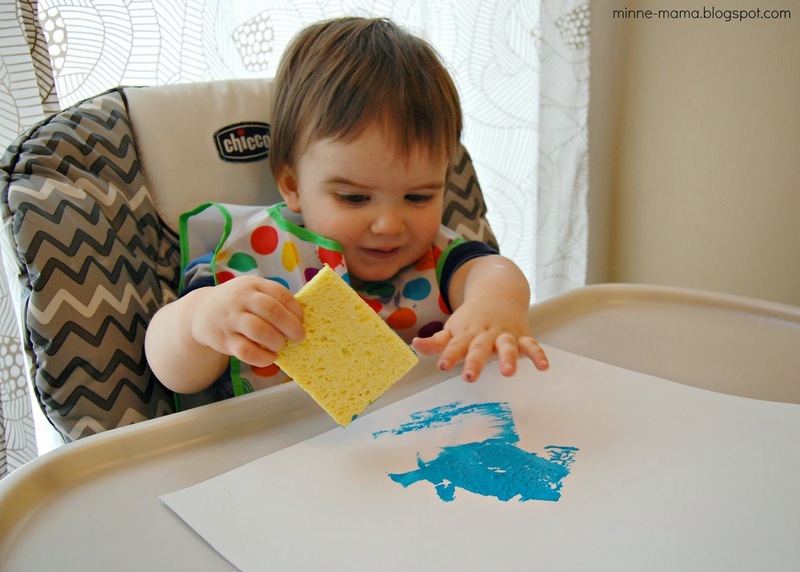 This was our first time painting with sponges, and Skyler had a lot of fun. 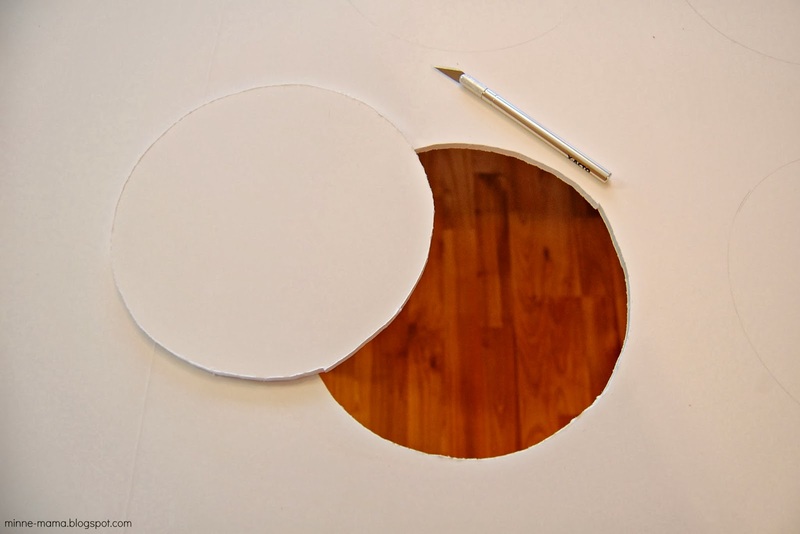 Once the pieces of poster board were dry, I cut out our rings and put them onto the tri-fold board. 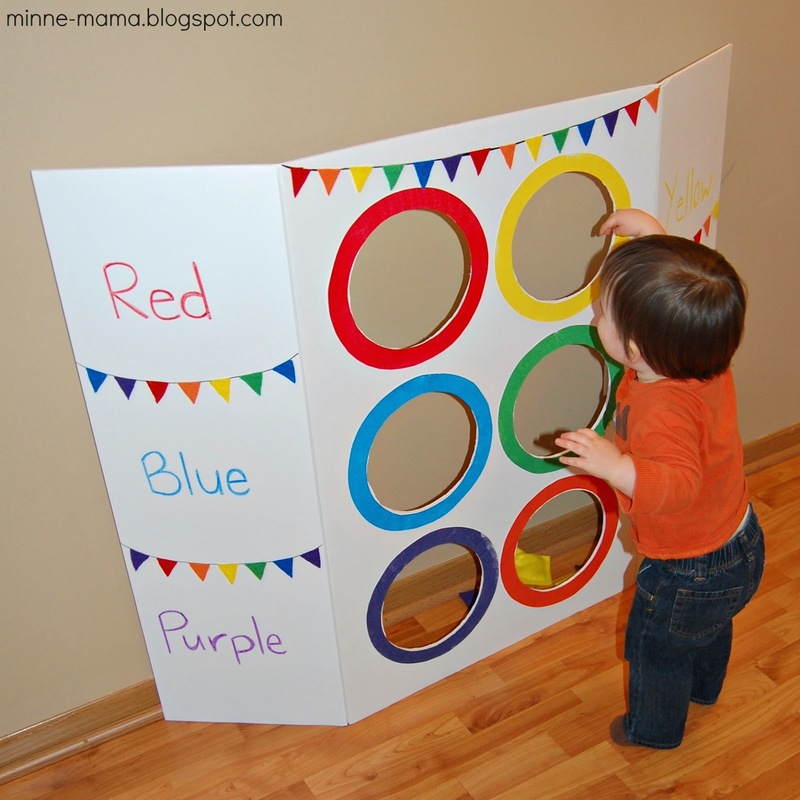 I knew we would use our ball pit and colored sensory balls to toss through the holes of our poster board (though we haven't used them yet - the bean bags are really fun to toss! 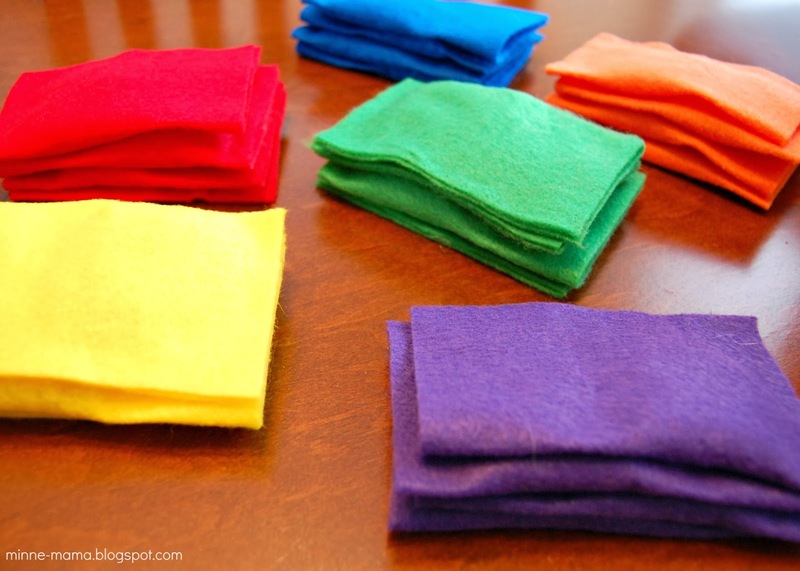 ), but I thought it would be fun to make some colorful bean bags for Skyler to throw as well. 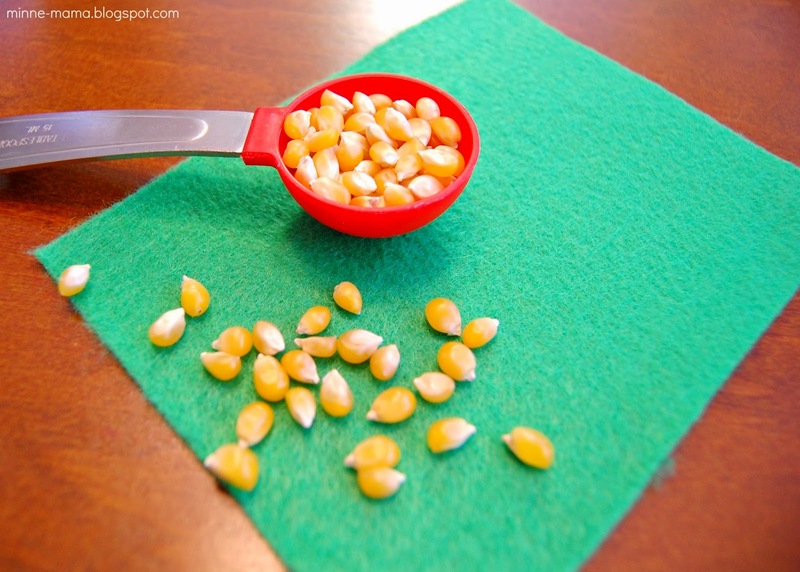 To make these simple bean bags, I cut pieces of felt into quarters and filled them will popcorn kernels. I started putting them together with spray adhesive and then switched to hot glue gun because it was a lot faster and held together better. I left some room on the side because I knew that I was going to cut off part of the bag, so they would be more of a square shape when completed. 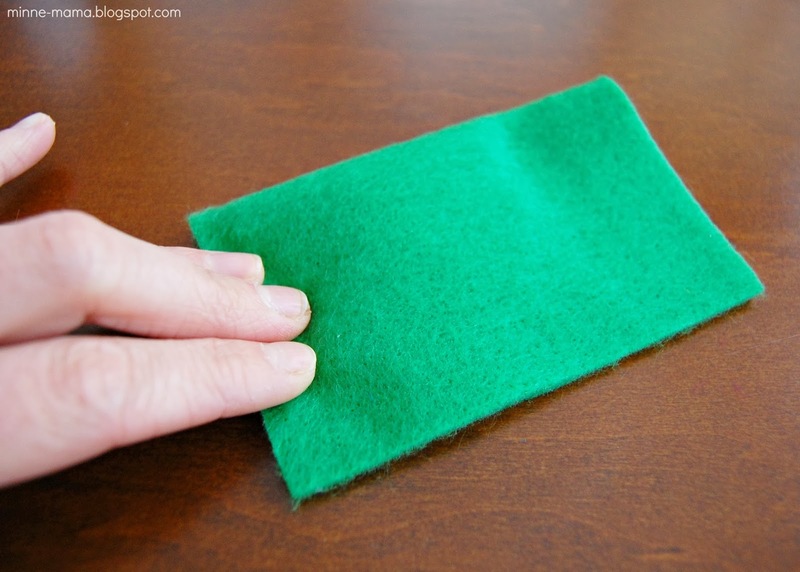 Before and after cutting off the excess felt. 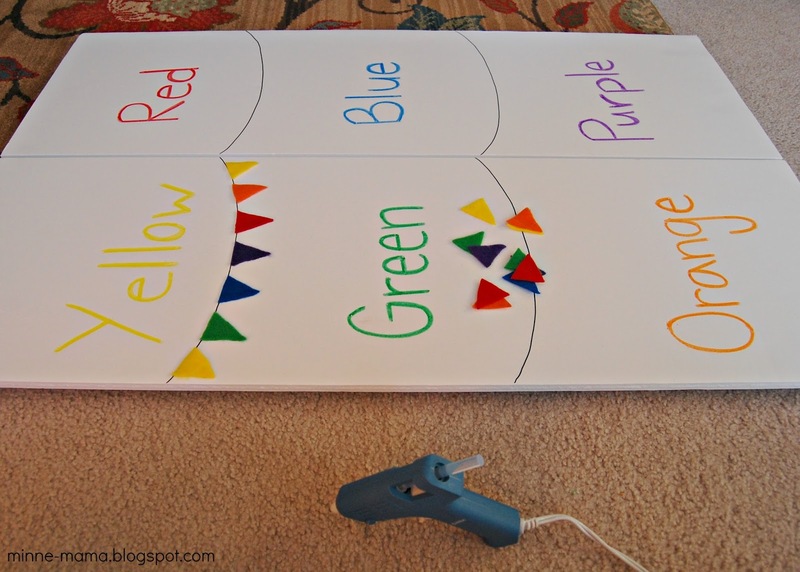 To finish our poster board, I wrote the color words next to the different holes with crayon and to make our color game a bit more cute, I used the extra felt to make bunting along the tri-fold board. 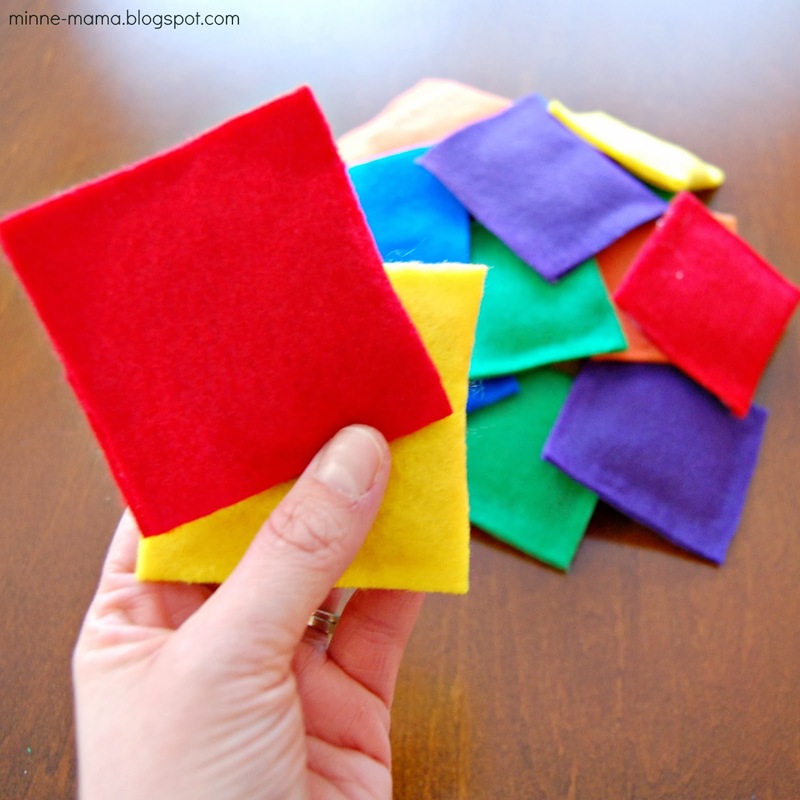 I added them with hot glue and our fun new color sorting activity was complete! This activity was a huge success with my honey! I knew Skyler would like it and have fun putting the bean bags through the holes, but I was impressed with how accurately he was able to identify the colors. 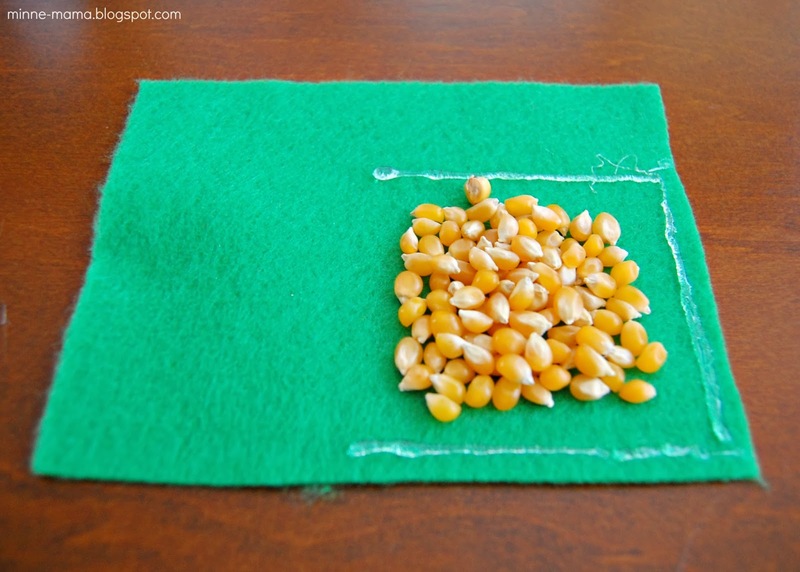 I made this game more as a teaching tool, but it ended up being more of a fun practice! 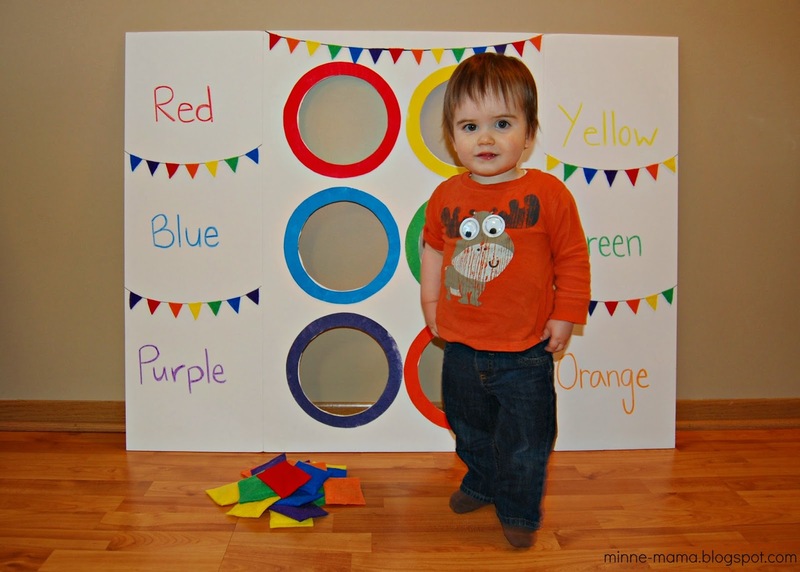 I found it absolutely adorable how he would stand in front of the board and look down at the color he had in hand, then carefully look around the board before placing the bean bag in the correct hole! 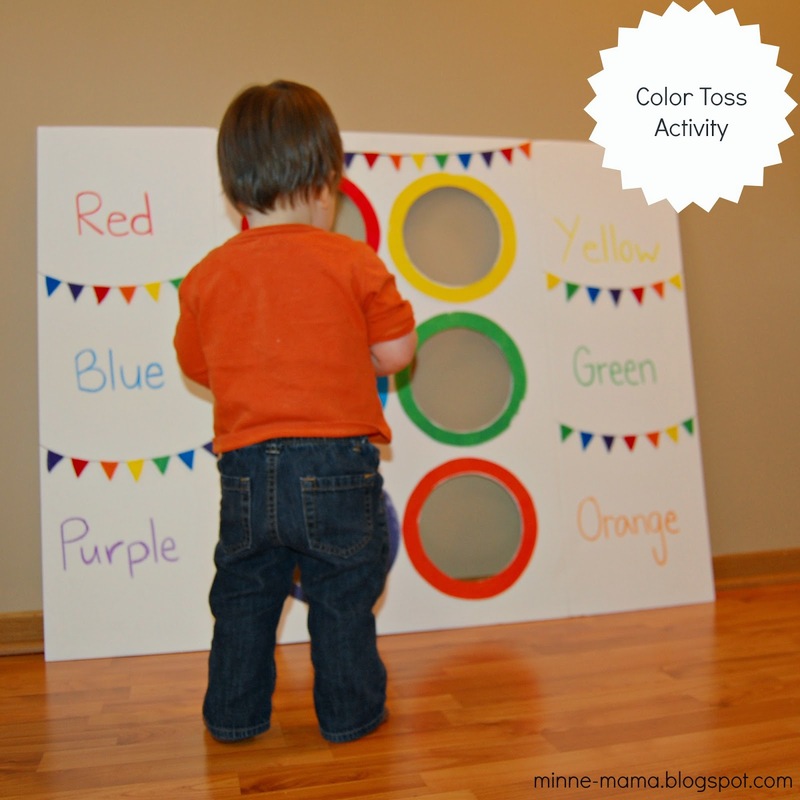 We played with this game all afternoon and I know this color sorting activity and gross motor play (I put the bean bags across the room so he has to run and get a new one every time!) will be popular in our home for a very long time! Skyler says purple and blue frequently, and can say red, green, and yellow. He said orange for the first time when playing this sorting activity though! 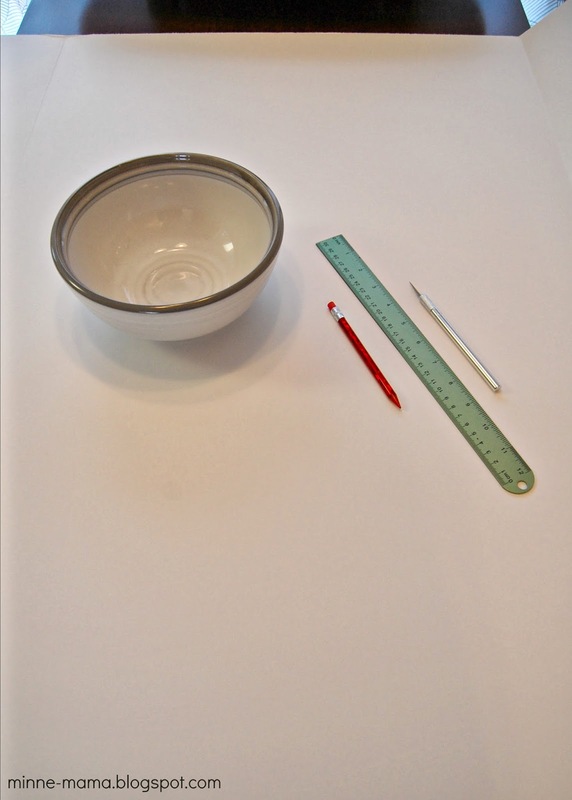 Completing this activity took a lot of steps, but none of them required much time and the overall amount of time I put into making it will be so worth it in the end. 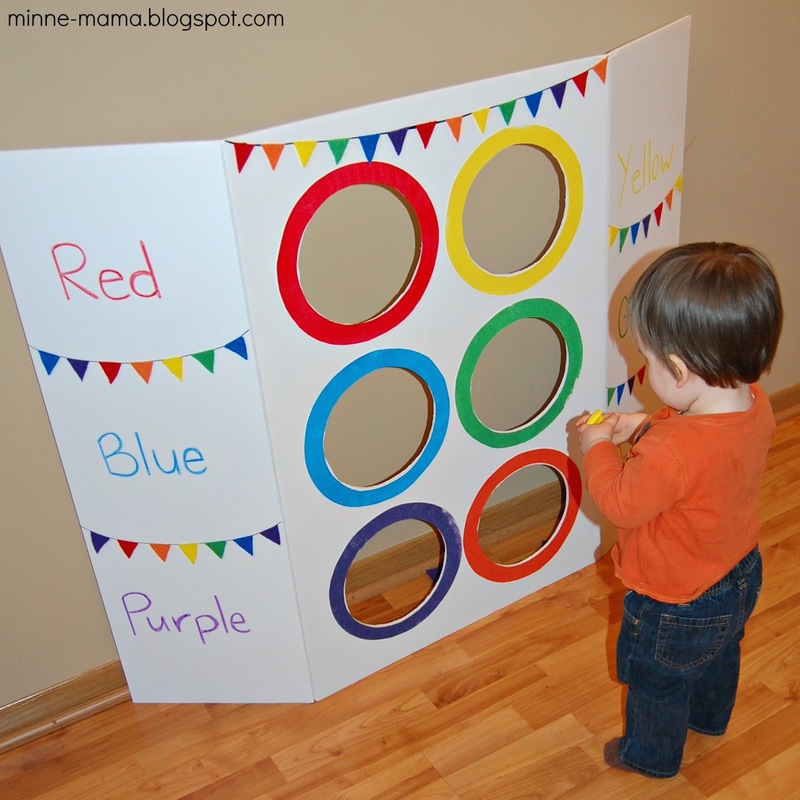 I loved using the tri-fold board because it is so sturdy and I can easily store it behind the desk in our living room when it folds up. This game will last us forever, and we will be able to use it different ways as Skyler grows. I know we will use this activity at least for the next year or two. 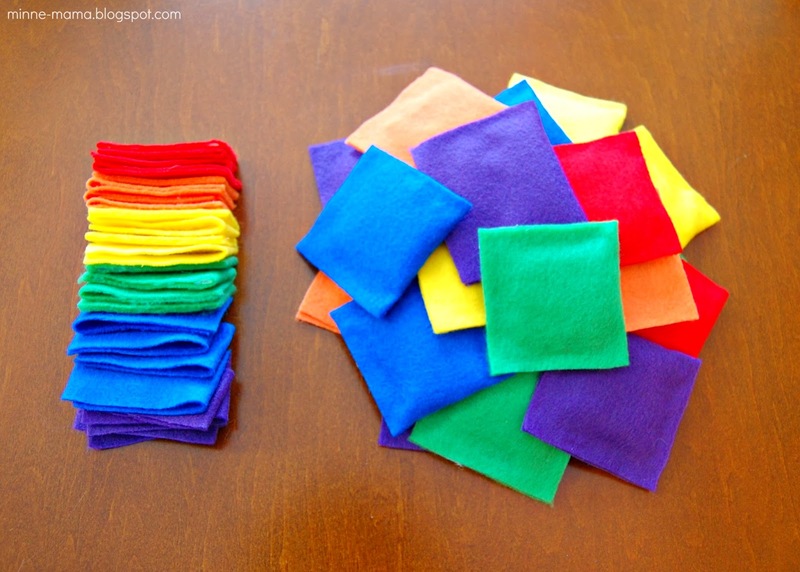 Another way to play for older children would be to do 'color math' and instead of just finding the colors you could use a prompt like: "Red + Blue = ?" or "Green - Yellow = ?" 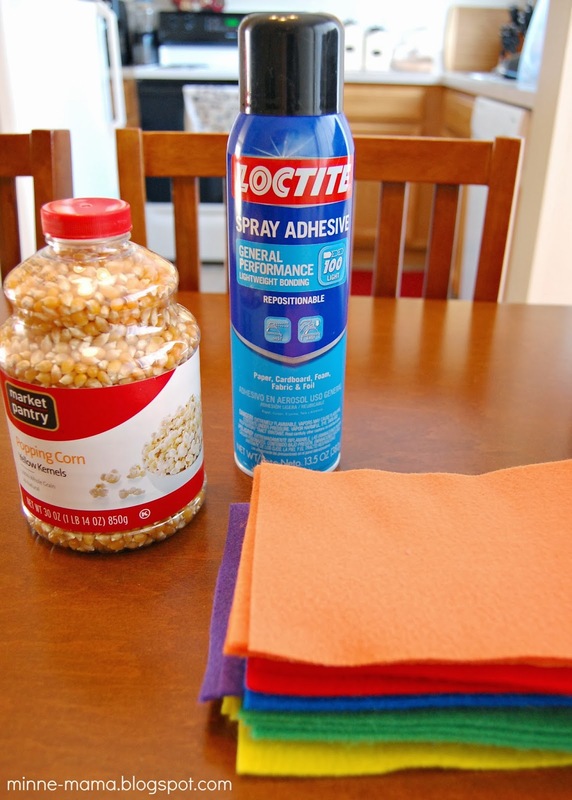 You could also do two at a time "These two colors make Orange." Skyler and I pulled out this favorite activity and tried it with our ball pit balls for the first time! It was a lot of fun. We especially enjoyed tossing the balls through the holes. It was harder than it would seem ;) It was so cute seeing Skyler try to throw it in usually say "I miss!" and laugh like crazy. He did throw them in a few times. He also had fun clacking them together and referring to them as the instruments like our percussion tubes! Wow, what a fun color sorting activity. We are going to be focusing on colors a bit more soon, as I always like to do so around St. Patrick's Day. 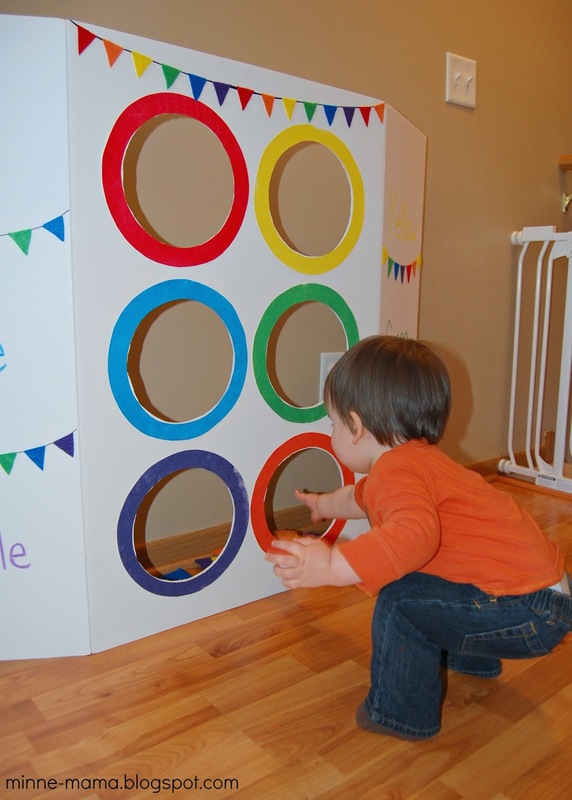 This would be a wonderful way to get some gross motor fun. Thanks for sharing your neat bean bags too. We need some new ones. 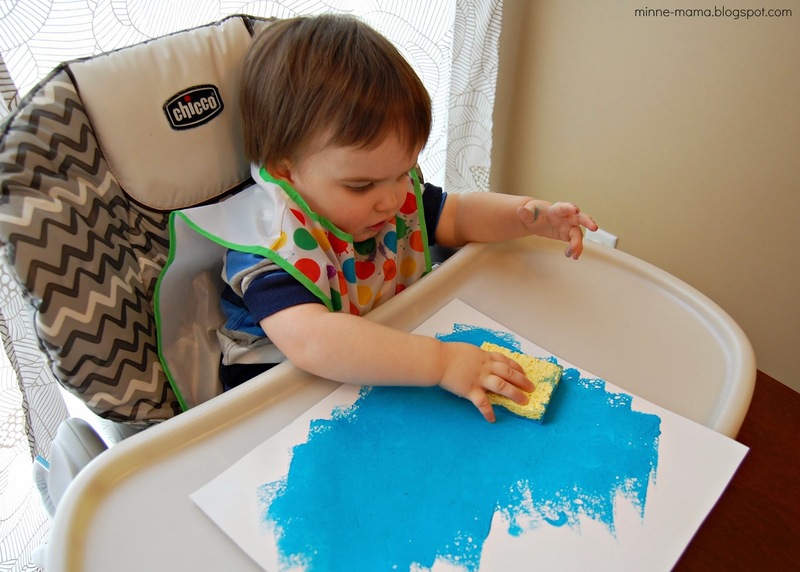 I would love for you to stop by and share on Toddler Idea Tuesday! While you are there don't forget to check out the great ideas that have been shared. 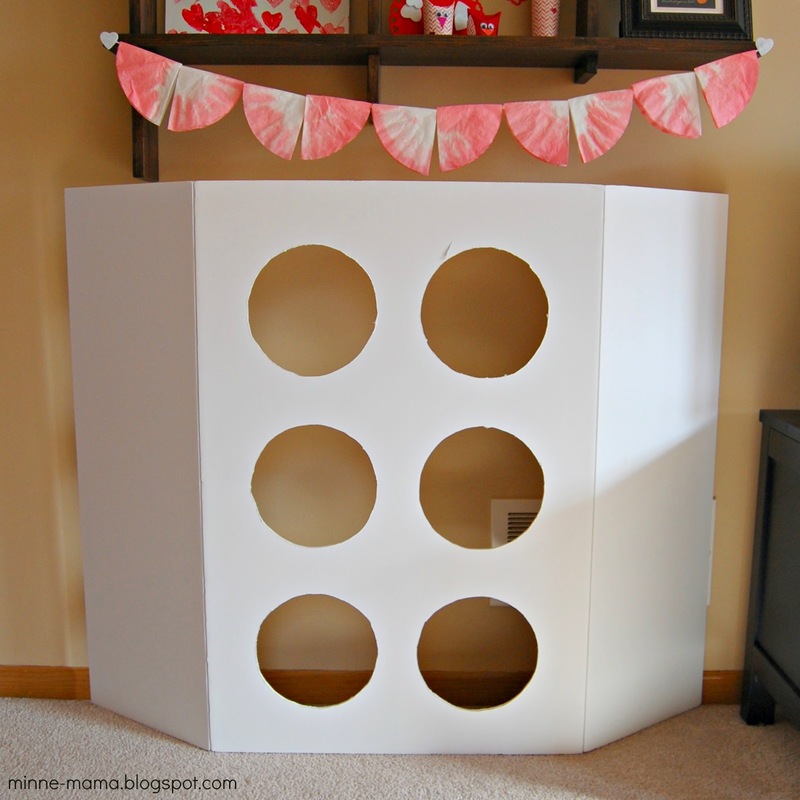 I will be picking some to feature and will Pin all the great ideas to my Toddler Ideas Board. Hope to see you there. 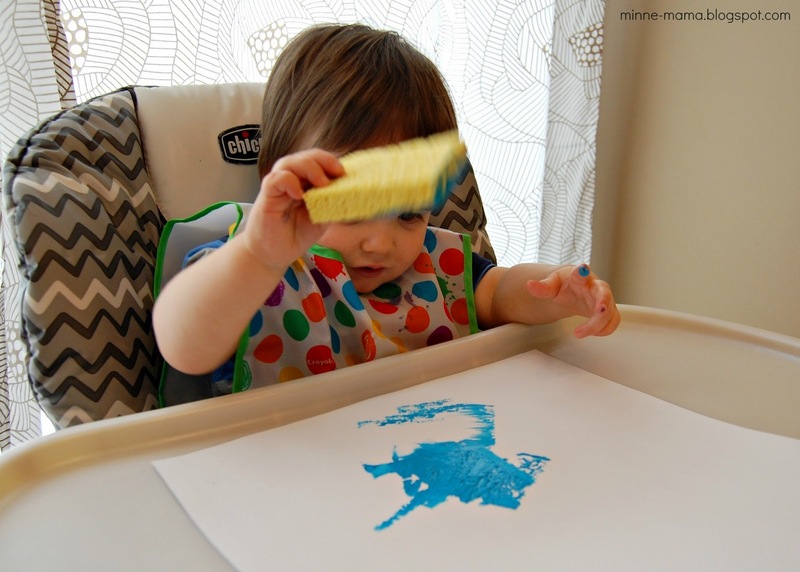 Thanks for stopping by and sharing on Toddler Idea Tuesday! I highlighted and linked back to your post and I have Pinned this. What fun! I hope to see you back again. This week's linky is now live! Thank you for the pin and invitation to share! 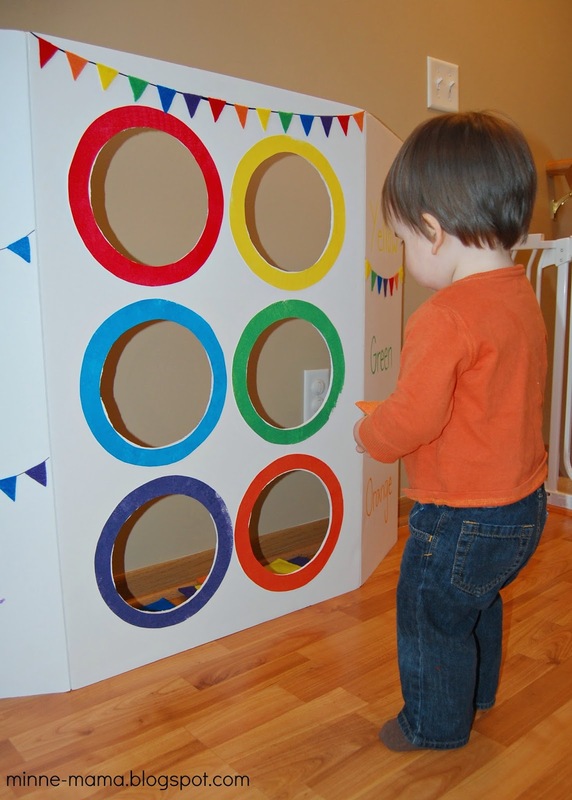 I enjoyed looking at all of the activities on Tots and Me! Thank you, Jennifer! I appreciate the kind words and pin. Fun! We made something similar, but using the Olympic colors. We didn't use color coded balls or bean bags though and I have to say that is a much better idea! Also, I love how Skyler painted all of the colored rings for the board. What a great way to include him in the creation of it! Thank you, as always, Dyan! You are so funny :) I love the Olympic idea and will have to remember that for Skyler next time!! This is adorable! I love the how you decorated it! What a great activity! This looks super fun. So creative! Great idea, going to do this! Hey is that Noritake Sierra Twilight dishware? I'm glad to hear you are going to try it! Skyler still loves it at just over three years old! I just found this on Pinterest!!! Awesome idea! I am getting ideas together to start tot school with my daughter once our weather in Ohio starts to keep us inside. How old was your son when you did this activity?